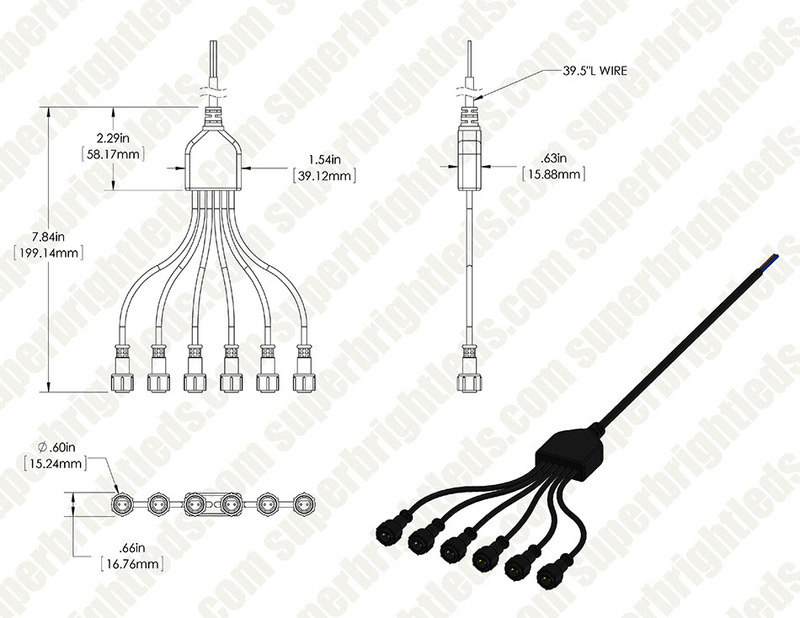 LED Rock Light 6-Connector Hub: Shown Connected To Rock Light (Sold Separately). 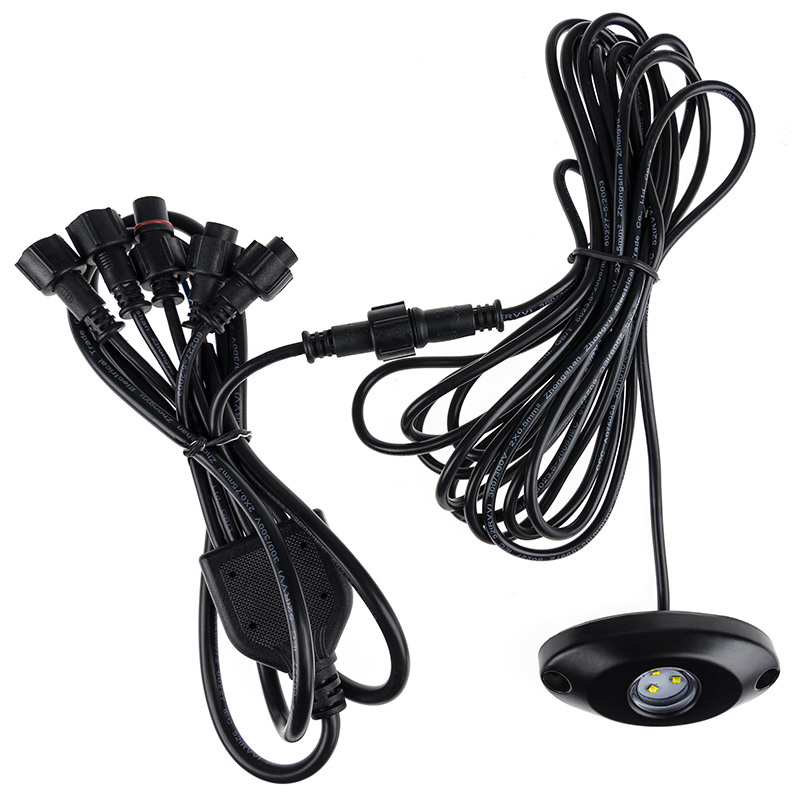 LED Rock Light 6-Connector Hub: Shown With Weatherproof Cap Installed (Sold Separately). 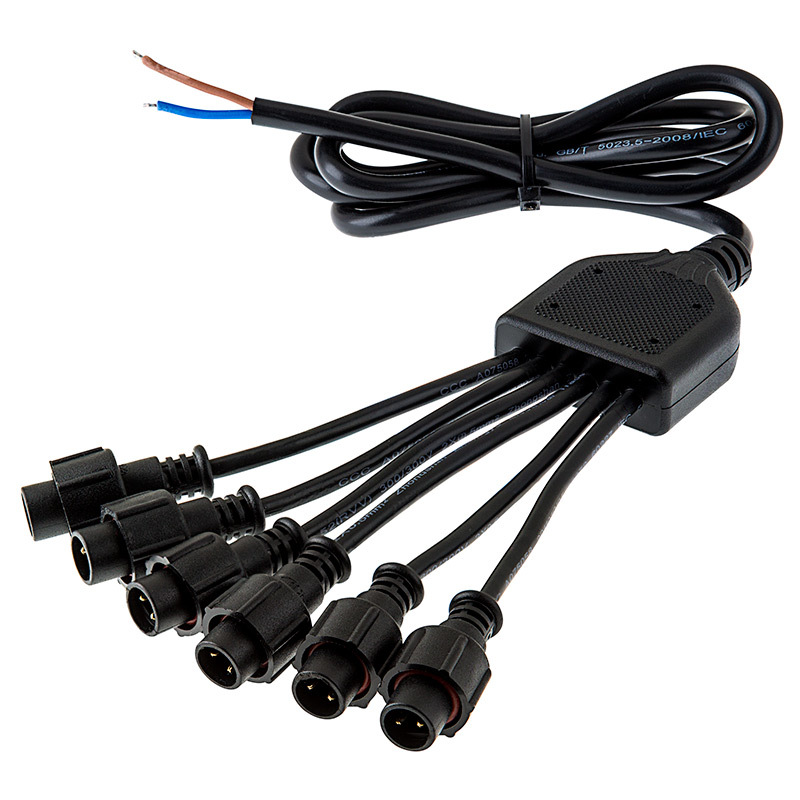 This LED rock light connector hub lets you easily connect 6 rock lights for use on your vehicle. 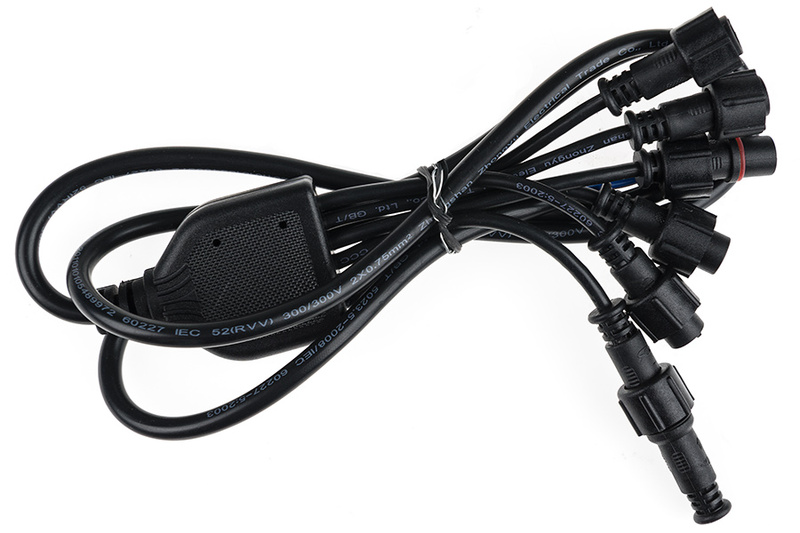 The hub's 21-gauge wire is polarity sensitive; brown is positive, and blue is negative.